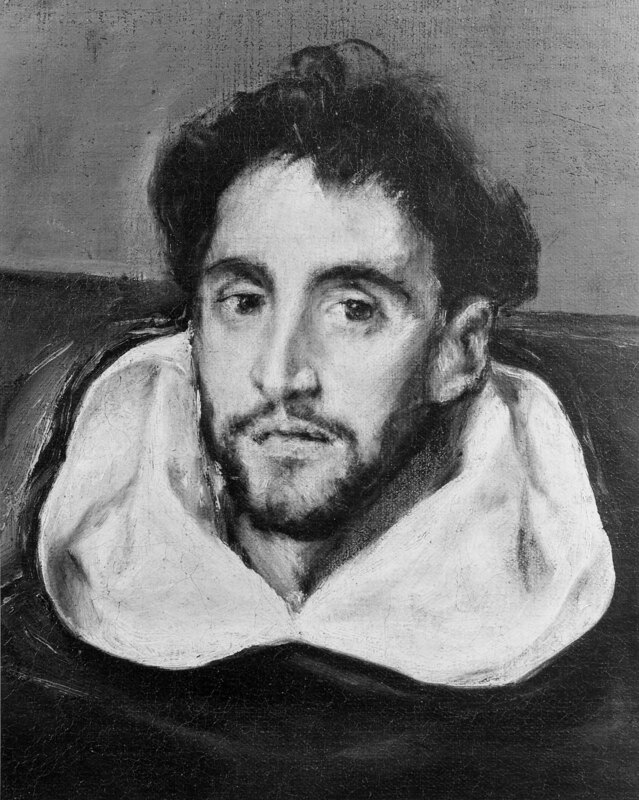 El Greco was born on Crete and trained in Italy before emigrating in his thirties to Spain. 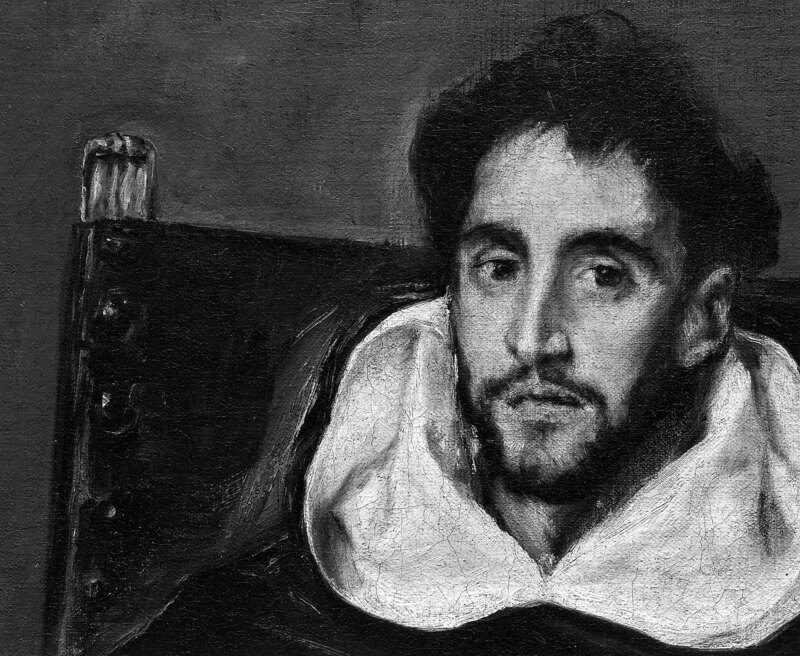 Best known for his intense and spiritual religious paintings, El Greco was also a perceptive and powerful portraitist. Paravicino, a close friend of the artist, was an important theologian, orator, and poet. 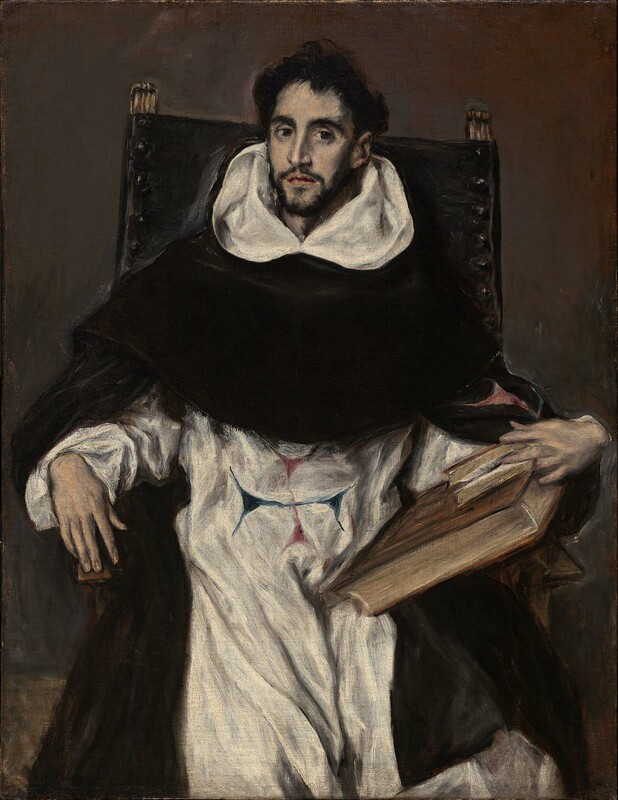 Limiting the colors almost entirely to the black and white of the friar’s habit, El Greco created a subtle and compelling image that emphasizes psychological rather than physical presence. The work was purchased in 1904 on the recommendation of John Singer Sargent, another great portraitist and an admirer of Spanish art. Antonio Palomino recorded the portrait in the Duque de Arcos collection in 1724; see El Museo Pictorico, y Escala Optica, vol. 2, Practica de la Pintura (Madrid, 1724), p. 287.